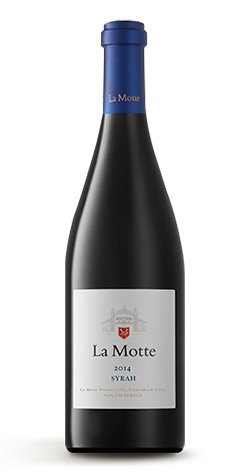 A very bold variety, this Syrah has been refined into a medium-bodied, highly accessible wine. The full-bodied character of this wine harmonizes perfectly with rich, flavourful dishes, grilled foods (including grilled vegetables), game dishes (particularly those incorporating stewed fruit and sweet aromatic spice components), peppercorn-crusted steaks and barbecued meat in a sticky, sweet sauce. The wine’s abundant fruit also latches onto the sweetness in jellies, chutneys or berry sauces. As was the case during the previous year, the growing season was preceded by a good winter that ensured even budding. Ample ground-water and cool soils delayed budding, and harvesting started later. Temperatures rose, with regular rain that promoted growth and caused favourable conditions for disease. Good leaf management was required. Heavy rain was also received during middle January. The harvest will be remembered for its magnitude in the Boland. In general, ripeness occurred at lower sugars. The vineyards all have unique macro climates and grow in a large variety of soil types. Different clones are represented. All the vineyards are trellised on a wire system and managed to be in perfect balance. Each terroir makes a unique contribution to the wine and each has a different harvest date. The grapes for this wine were harvested over a period of one month. Grapes were picked when still firm but ripe. The bunches were de-stemmed and hand-sorted. Whole berries were pumped into an open stainless steel tank, inoculated and cool-fermented at 20 – 24 degrees Celsius, while pumping over with ample aeration. Malolactic fermentation started in the tanks and finished in 300-litre French oak barrels, 30% of which were new. The wine was matured for 14 months, blended, filtered and bottled in November 2015. 10 000 cartons (6 x 750 ml) were produced.